WELLINGTON, NEW ZEALAND, 1 October 2018 — Fulbright New Zealand and Wallace Arts Trust are pleased to congratulate this year’s recipient of the Fulbright-Wallace Arts Trust Award, Emma Fitts. The Fulbright-Wallace Arts Trust Award is for an outstanding mid-career or senior New Zealand visual artist to undertake a ten week residency at Headlands Centre for the Arts in Sausalito, California. While on the residency, Emma plans to create a new body of work that focuses on women’s textile practice, landscape art and the photographic medium. Emma Fitts completed a Bachelor of Fine Arts at the University of Canterbury in 2002 and a Master of Fine Art from the Glasgow School of Art in 2010. Her individual practice and collaborative work as Fitts & Holderness and Victor & Hester has seen her participate in exhibitions and residencies both nationally and internationally. Fitts returned to Christchurch in 2014 as the Olivia Spencer Bower awardee and has most recently been the McCahon House resident for winter 2018. Her recent projects include Bright Cave, curated by Robyn Maree Pickens at Blue Oyster, Dunedin 2018; I Digress, with Victor & Hester, curated by Sophie Davis at Enjoy, Wellington 2018); Homeshow, Christchurch, curated by Louise Palmer, (2017); Section, Elevation, Perspective, at Parlour Projects, Hastings (2017); From Pressure to Vibration: The Event of a Thread, curated by Melanie Oliver at The Dowse, Wellington (2017). Fitts’s work is held in permanent collections in New Zealand and is currently on show at Christchurch Art Gallery and Pataka Art and Museum, Wellington as part of their exhibitions marking 125 years of Women’s suffrage. “I love travelling to new places to make work and have been fascinated with the West Coast of America for years. Going to a centre such as the Headlands, I am really excited about the other artists that I’ll meet and the new work that I’ll be exposed to. It’s incredibly exciting to be heading into a situation that hosts artists from all over the world and the potential for future projects, collaborations and friendships that stem from these situations is super exciting,” said Emma Fitts. 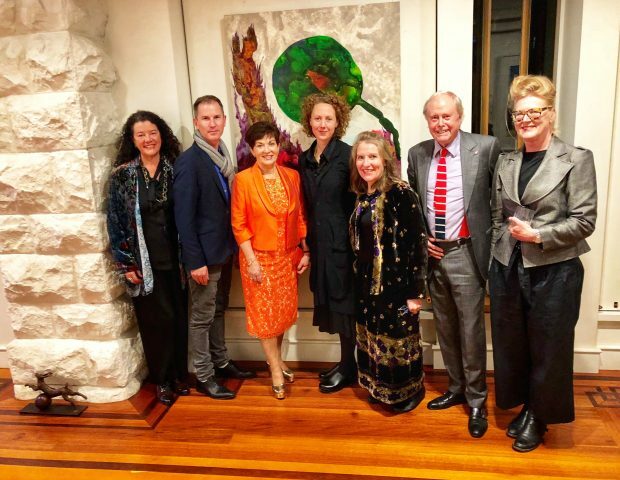 Previous grantees of the Fulbright-Wallace Arts Trust Award include Phil Dadson, Ruth Watson, Steven Carr, Simon Morris and other prominent New Zealand artists. Rebecca Swan is currently in Sausalito on her residency, as last year’s recipient.